The mission of the project is to implement a scriptable Electronic Control Unit simulation environment that can siumlate diagnostic communication. Diagnostic Developers can model the diagnostic behaviour of single ECUs or whole cars inside a box such a Rasperry Pi. The communication protocol used in the vehicle diagnostic is Unified Diagnostic Services. It is a Request-Response Protocol. The ECU provides Services which can be called by the client. The mission of this particular project (in the context of the product vision). 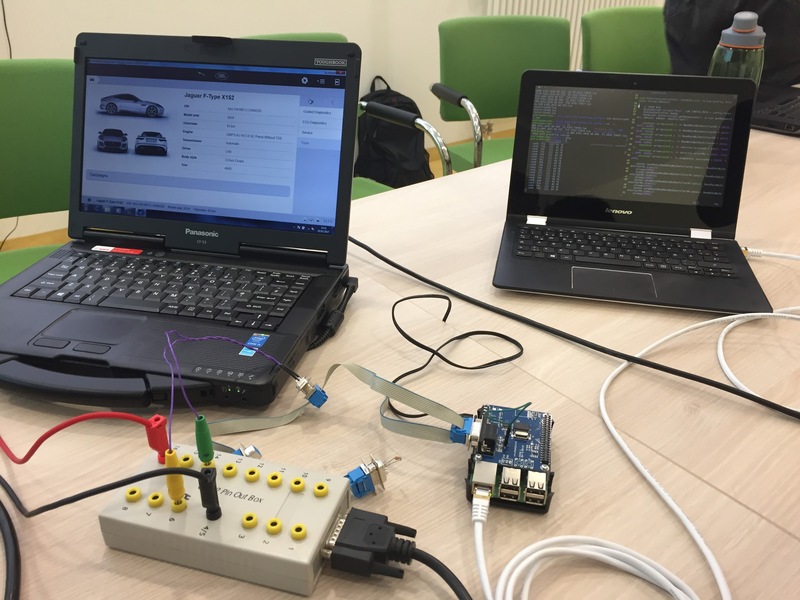 Our task was to simulate ECUs from a car via Raspberry Pi. For the communication, the ECUs in a car are connected via CAN-Bus. We used the UDS-protocol for the communication of the ECUs. Which functions from the ECUs are supported is defined in the lua file. An example: If you are reading the name of the ECU, each lua file (ECU) should send another name back, e.g. engine, airbag… Because each ECU has a different task in in the car, all the definitions within the different lua files are different. Due to the fact that the Raspberry Pi is loading several lua files at the same time, a behaviour like in the car is simulated, because several ECUs are communicating with each other.